Café Bar Carizma's newest restaurant, Carizma on the Hill is open for lunch and dinner every day (except Wednesdays). They specialise in coffees, smoothies and fresh cooked food to order. 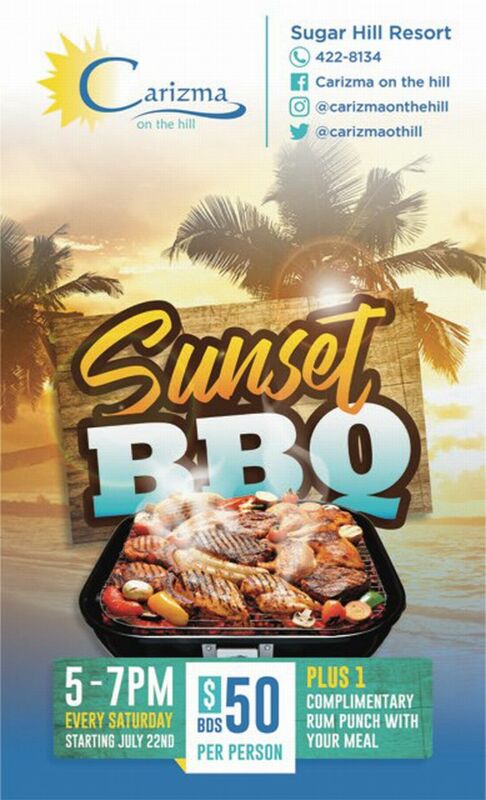 Every Saturday, enjoy their special Sunset BBQ. Your Choice from the Meats, Starch Station, Salad Bar and Condiment Station. Rum punch and good food with a view should never be missed. 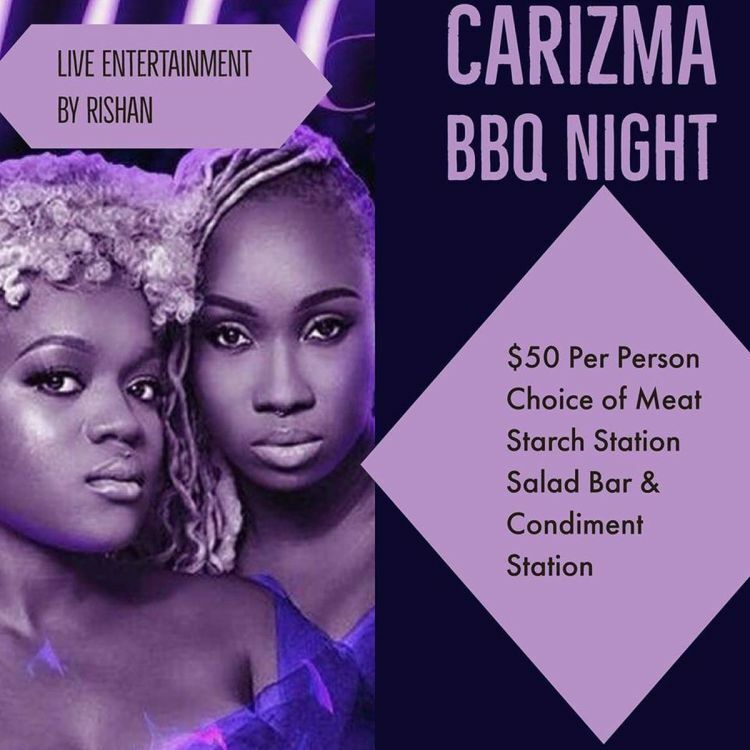 Plus Live Entertainment by the Rishan Duo. Price: Bds $50.00 per person - includes one complimentary Rum punch. Carizma on the Hill is located on the Sugar Hill Estate. Sugar Hill is spectacularly set on a ridge that overlooks the West Coast of Barbados and allows for unrivalled views of the Caribbean Sea.